Cyclone Ockhi of all the things in the world is finally coming to Delhi to clear the air pollution. And the government, citizens and ofc us are absolutely baffled!! According to certain reports on social media, NASA had come out with a public statement. In the statement, NASA mentioned that the cyclone that has brought sorrow to many in South India may actually turn out to be a boon to North Indians. 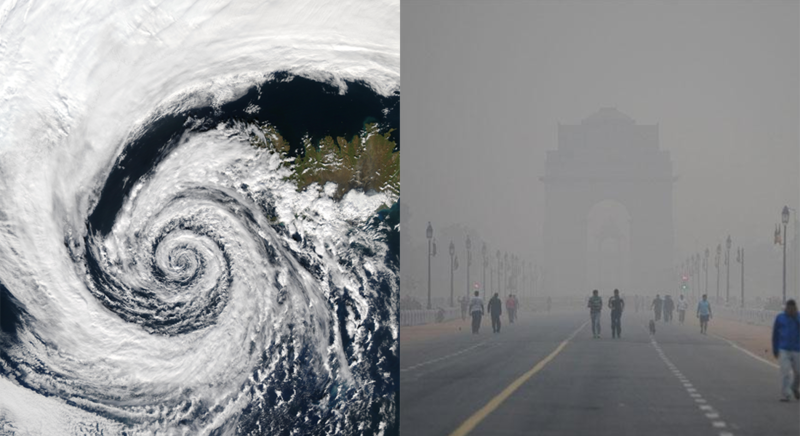 The bad air quality of the Capital, intensified by the perennial smog – will be cleared out by the cyclone. Which makes us wonder how we too can help in purifying the air in Delhi.